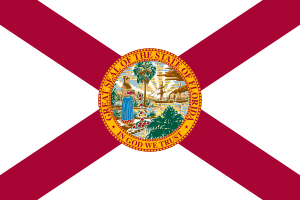 Florida is ranked as the nation’s third highest employment state for paralegals. The metropolitan areas of Fort Lauderdale, Tallahassee, Miami and West Palm Beach each rank in the United States’ top ten paralegal populations. The upward trend of paralegal work is projected to create more than 70,000 new jobs by 2018. More and more companies and corporations are looking to paralegals rather than the traditional attorney to help ease the burden on the payroll, keeping the lawyer more in the courtroom and the paralegal in the office. This has expanded the field vastly, providing new opportunities to paralegals that were once reserved for lawyers. There are three ways to qualify for registry: defined by the Florida Bar Association a paralegal must have education and work experience, certification, or be grandfathered into the registry program. Every paralegal must work supervised by of a bar-certified attorney. They cannot provide legal advice, and their supervising attorney is culpable for the professional actions and ethics of the assistant. The second method of qualifying for the Florida Paralegal Registry is to forgo the work experience and instead take one of two specialized exams and be on good terms with the associations that sponsor them. First mentioned is the NALA Certified Paralegal designation, gained by successfully completing the certified paralegal examination offered by the National Association of Legal Assistants. The second is the PACE Registered Paralegal designation, resulting from the passing completion of the Paralegal Advanced Competency Exam, which is sponsored by the National Federation of Paralegal Associations. The third way to make the Florida Registry was only available through the beginning of 2011. The rule regarding this states a paralegal not meeting one of the other two requirements may still register in Florida as a paralegal. They do this by supplying testimony from a supervisory or employing attorney that the individual applying for registration has completed paralegal work experience for five of the eight years immediately preceding the date of confirming testimony. According to the Bureau of Labor Statistics, there are 3,889 registered paralegals in Florida as of July 2010. The median salary for this occupation within the state is about $45,000. 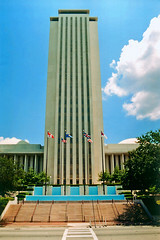 While there isn’t a regulatory department for licensing or certifying paralegals in Florida, the State Supreme Court created Chapter 20 to its existing Rules Regulating the Florida Bar, enforcing strict parameters by which legal assistants can practice; it also created the Florida Registered Paralegal Program. The paralegal profession is usually unregulated, but the American Bar Association does offer a nod of approval toward certain courses provided by institutions of higher learning that meet the ABA’s high standards. This endorsement increases the credibility of the school, and by proxy, the paralegal. ABA endorsement is separate from accreditation, which is granted by the U.S. Department of Education. Paralegal courses can be approved by the ABA, while not accredited through the Department of Education, and vise versa. An institution could be both or neither, as well. Be sure to note if one type is preferred over another when applying for a paralegal position. Broward College, formerly known as Broward Community College, offers an Associate in Applied Sciences (AAS) program for paralegal studies. The school offers elective internships upon completion of the program. Edison State College has a paralegal program offering an AAS degree. This course does not require an internship for completion. Florida State College has a Paralegal Studies program which offers an AAS degree. Internships are mandatory to graduate with a degree. Miami Dade College is a four-year public college offering both AAS and Bachelor of Science degrees in Paralegal Studies. This school requires internship completion in order to graduate. Nova Southeastern University has a four-year Legal Studies program, offering a Bachelor of Science course study. This program does not have mandatory internships. Seminole State College of Florida offers and AAS degree in Legal Studies. The course has a required internship upon completion of the studies. South University-West Palm Beach is a private, four-year college that offers both an AAS and Bachelor’s programs within Legal Studies. Internships for both degrees are mandatory prior to graduation. St. Petersburg College offers a Legal Studies program with courses for an AAS, Bachelor of Science and general certification for post-baccalaureate studies. Certification requires a Bachelor’s degree in any other field of study. This school does not require mandatory internships. Valencia College, formerly known as Valencia Community College, offers an Associate in Applied Sciences program for Paralegal Studies with an elective internship upon completion. There are a plethora of law firms within Florida that hire paralegals. Below is a small list of some of the top hiring firms in the state.